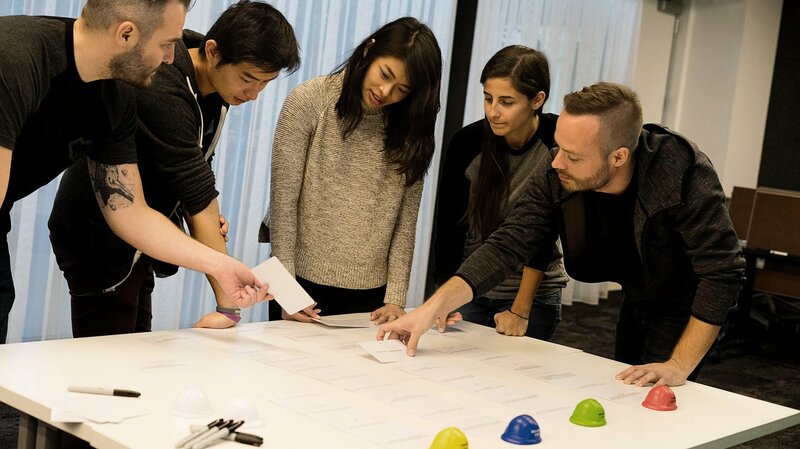 A key success factor in the way we work at Riot is building world-class teams. 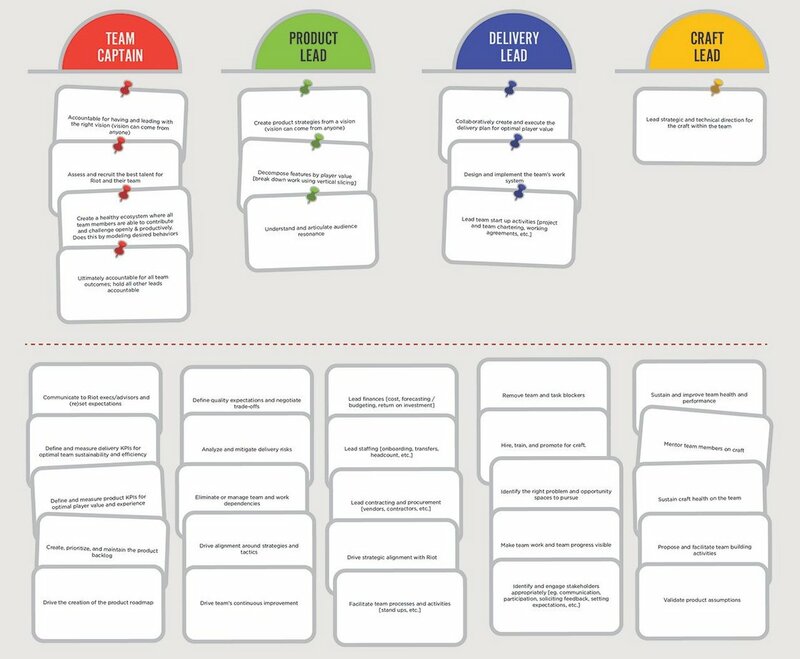 Like most agile companies, Riot used the common set of predefined team leadership roles like product owner, coach, facilitator, scrum master, etc. These roles were intended to help clarify responsibilities and enable team accountability in a manner that emphasized minimal leadership, cross-functional teams, and collective ownership. However, as Riot continued to grow, and work became increasingly complex, these “one-size-fits-all” Agile-defined roles no longer met our needs. Despite training, the definition and understanding of the responsibilities of each role varied wildly from team-to-team and person-to-person. Rioters were forced into roles that did not fit their skillsets and desires; individuals grew demotivated and deprioritized some important responsibilities. There was a swing towards too much reliance on an individual leader (in our case, product owners), versus a cross-functional teamwork approach. This limited not only the wisdom of the crowd, but growth opportunities for exploring new roles, and an overall sense of collective ownership. The deceptively innocuous term, “product owner,” was problematic. It implied sole ownership, which ran counter to the idea that teams held collective ownership. It was a critical juncture in the growth of Riot Games. Things were not working the way we wanted them to and we knew we could do better. So we decided to create a new leadership model that incorporated the flexibility and autonomy that existed in all other facets of how we worked at Riot. It was an experiment designed to embrace an adaptable, human-centric, team approach to leadership. These roles, designed to work together as a unit, were explicitly referred to as “hats.” Any individual team member could wear one or more hats at a time (e.g. a Rioter could be both team captain and product lead). This was meant to encourage flexibility in how teams organized, based on interpersonal dynamics and project complexity, with an emphasis on performing these roles as a team over individual title changes. Next, we decoupled roles from responsibilities, the intent of which was to increase the agility of the role-to-person assignment, rather than force people to adhere to a predefined set of responsibilities regardless of their skillset and passion. By decoupling the two, we acknowledged that each Rioter assigned to a respective role had certain capabilities, skills, and competencies that might or might not have aligned with the needs of the role. Additionally, this decoupling provided Rioters (who ideally had a growth mindset) a venue and opportunity to expand and develop themselves by negotiating the responsibilities assigned to them. Lastly, we devised a list of 36 generic responsibilities we believed a leadership team should embody (see Appendix for the full list of responsibilities). 11 of these responsibilities were anchored to specific roles in order to define their overall essence. For example, a product lead would always be responsible for creating product strategy from a vision. Beyond that, responsibilities remained fluid to better cater to Rioters’ individual skills, competencies, and growth areas. The remaining 25 responsibilities were left up to the team to delegate. 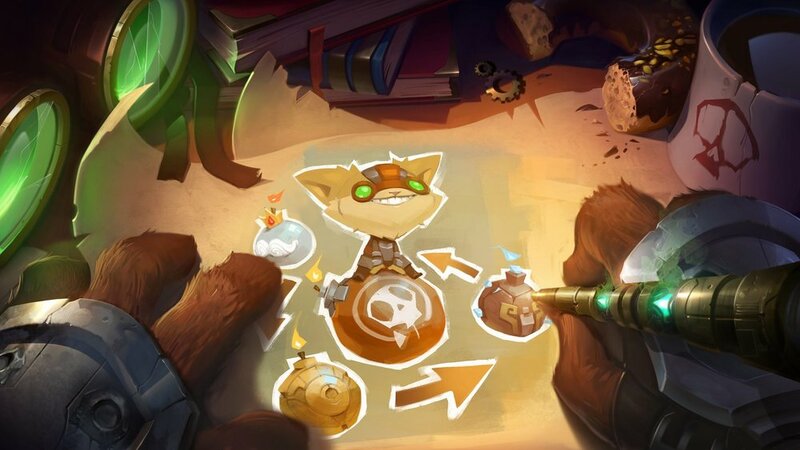 As part of scaling the experiment across Riot, we created a facilitation guide to help teams through the discussion of leadership roles, team responsibilities, and how to map these responsibilities to their appropriate roles. 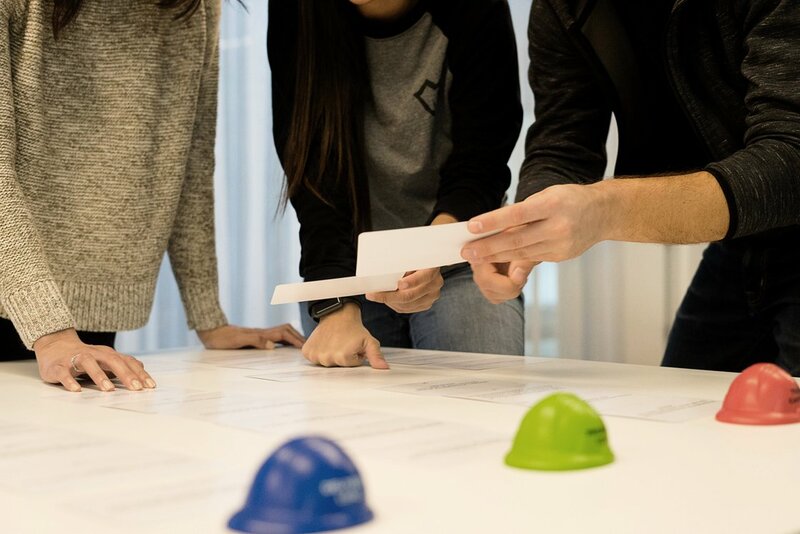 Ideally, all team members participated in this discussion and agreed on who would wear which hat or hats, and the responsibilities for which they were accountable. This discussion usually took place before work started (sometimes during team chartering), but we saw teams do it mid-project as a way to reset. Each team was equipped with a kit that included 5 small foam hats, a pack of 36 responsibility cards, and a facilitation guide. Discussions began by defining responsibilities and assigning them to mutually-decided upon leadership role (e.g. “What are the attributes, behaviors, and competencies we expect to see in a team captain/product lead on this team?”). Lead team start up activities [project and team chartering, working agreements, etc. Next, the team defined the generic profile of a person who would best fill each role, considering attributes and traits, skills and capabilities, craft, etc. Then they decided on which team member should fulfill each role. Finally, adjustments were made in the mapping of responsibilities to custom-fit the Rioter assigned to each role or roles. This revolved around identified gaps and assignments, leveling responsibilities across the team, and assigning responsibilities to begin building capability in some team members. This step was heavily informed by the state and dynamics of the team. Leadership teamwork. Responsibilities were kept generic to foster a conversation. Frequently, teams discussed how to continue collaboration going forward. Increased transparency. The exercise visibly highlighted when a leader was overloaded, with an explicit step for the team to help and distribute responsibilities. Big picture consideration. Many leaders had responsibilities outside the team. A team captain, for example, could also be a people manager, which meant more team responsibilities were highlighted in order to understand the load across team leadership. Vulnerability and collaborating. Individuals willingly reduced their responsibilities when others highlighted reasons to make adjustments. Awareness and appreciation rose. Leaders recognized their contribution to the team, as well as the team being able to articulate and hold leaders accountable to the value they brought to the team. Opportunities for growth. Individuals who wanted to gain experience within a role could discuss selecting specific responsibilities that would foster growth. Ownership of the tool. 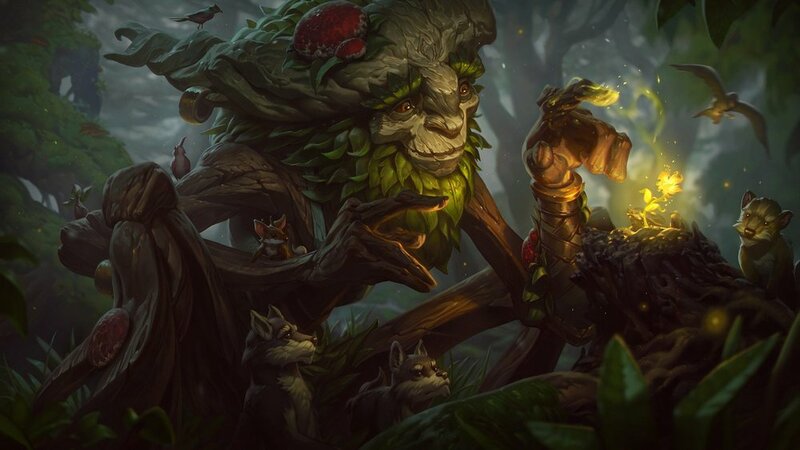 This experiment was not to standardize responsibilities or roles across Riot; teams added new roles, split existing roles, and added or discarded responsibilities. Requests were made to add responsibilities as part of the core exercise, or create expansion packs for specific scenarios. As Riot continues to be agile, we acknowledge that this “leadership hats” model may work now, but not in the future, and we’re always open to change. We’re not dogmatic about any practice, rather we invent practices that provide value for us. We believe this is the essence of being agile: value over process. Leadership plays a huge role in helping Riot craft world-class teams. We need to balance Riot’s strong culture of empowerment with a healthy ecosystem of leadership accountability. This experiment was the crucial first step in creating transparency and setting clear expectations about the roles and responsibilities of a leader at Riot. In a future article, we intend to share what we mean by accountability and why it is the essential building block of Riot’s culture of learning and performance. Here is a list of the 36 generic responsibilities, including the 11 that we anchored to the leadership roles.